Both sessions of the very popular Brunch with Santa are at capacity. We are not able to add more people than the room allows; however, we've created a waiting list. If a group cancels, we may be able to add people from the list. If you'd still like to attend, email [email protected] or add your name to the waiting list here. Please be sure to include the names of all desired attendees and what age group they would fall into (adult: 12 and up, child: 2-11 or infant: under 2), your Muirfield street address, the time you desire, and a good contact phone number and email address so we can contact you if space opens. As a reminder, if you've already purchased reservations, the latest you may request a refund or change is Friday, December 7 at 5:00 p.m. Please direct all questions and requests for refunds or changes to [email protected]. 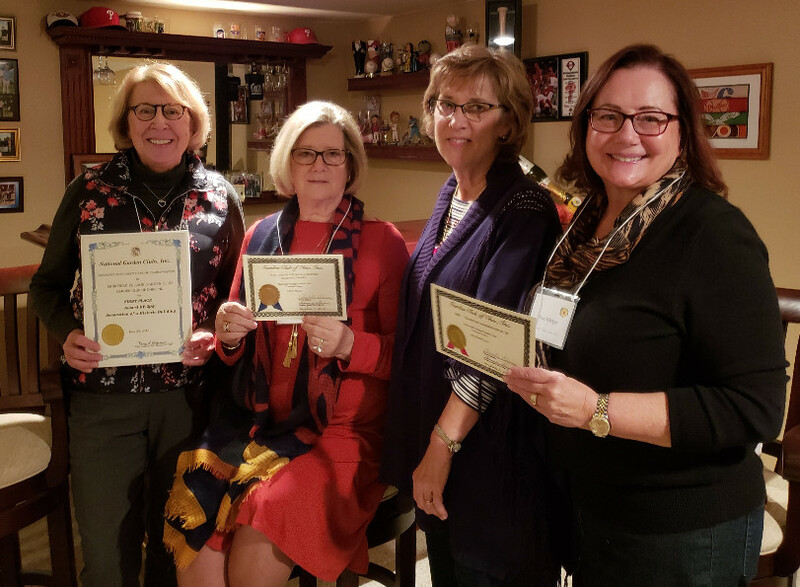 One of the many Muirfield Village Garden Club (MVGC) activities in 2017 was to decorate the Coffman Homestead for the holidays, and they were selected as first place winner in the category “Decoration of a Historic Building” by National Garden Clubs, Inc. for their inspired designs! Scroll down for photos. The MVGC will be taking their skills to the next level this year! Come and view their decorating expertise for yourself at the Coffman Homestead. There will be a preview on Thursday, November 29 from 5:00 - 6:45 pm in conjunction with the City of Dublin Tree lighting celebration at Coffman Park. The barn and first floor of Coffman House will be open for visitors. 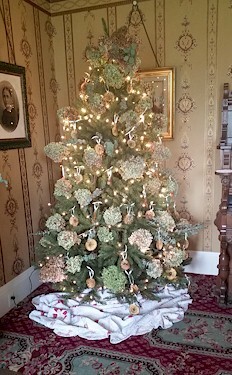 Then, plan to visit the Candlelight Open House on Sunday, December 2 or 9 from 2:00 - 5:00 p.m. The twinkle of candles, the aroma of hot cider and the sounds of the season will put you in the holiday spirit. 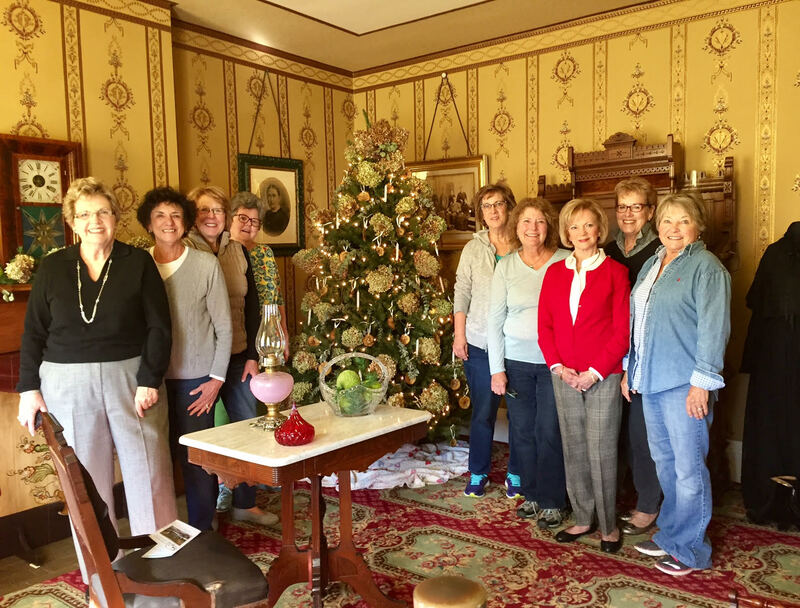 Tour the two-story 1860s era home dressed up with festive period decorations created by The Muirfield Village Garden Club. Enjoy musical entertainment, hot cider and cookies. Visit the replica one room school house. Capture a memory with a photo by the sleigh or by the large picturesque wreath at the Homestead's barn. Admission is only $5.00 and is free for ages 10 and younger. Coffman Homestead is located adjacent to Dublin City Hall at 5200 Emerald Parkway. For more information or to purchase tickets, visit http://dublinohiohistory.org/old-fashion-christmas-success/. View the official flyer here. Congratulations to the Muirfield Village Garden Club on their first place decorating award! Since winter is finally here, our crews have turned off the tennis court lights for the season. They will be operational again in the springtime. The City of Dublin is still collecting leaves, but due to bad weather, they have fallen slightly behind schedule. Leaves in Muirfield should have been picked up last week, however, due to the delays, some may be picked up this week. The final scheduled pickup will be the week of December 3 - 7. Have leaves at the curb no later than 7 a.m. on December 3 to ensure pickup. If you miss this pickup, you may bag leaves and set them out for yard waste pickup on any Monday. Read more on the city’s site.